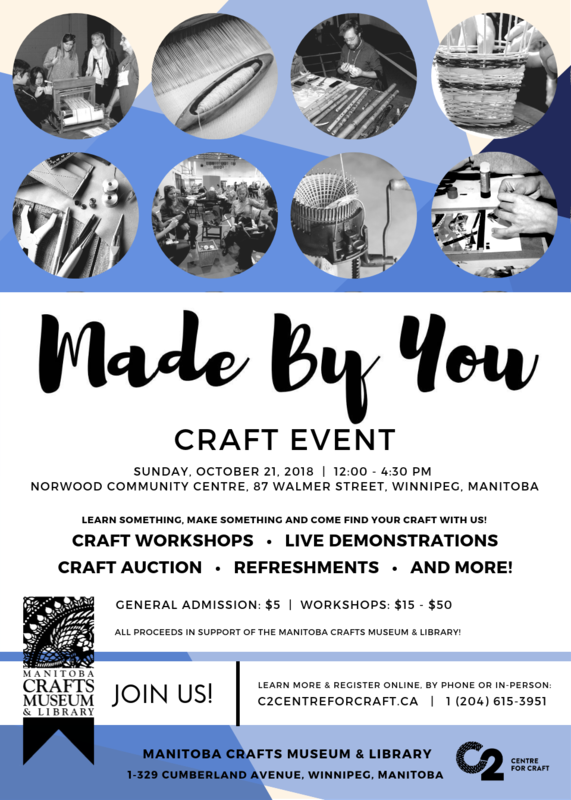 One of Winnipeg’s most engaging craft events. 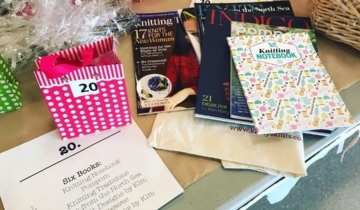 Participants are able to try up to three different craft workshops, see craft in action with craft demonstrators, hang out with other craftspeople, enjoy refreshments and bid on craft auction items! 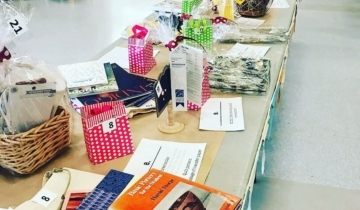 Thank-you to all the craft workshop instructors, demonstrators, donors, volunteers and everyone that came out yesterday for MCML’s Made By You Craft Event! You make our operations possible and craft happen in this province! These workshops repeat three times through the afternoon. Participants may take up to three different workshops. Learn to make an owl project which can become a little pouch or a brooch. Weaving straw into symbolic designs at harvest time is as old as the cultivation of grains. 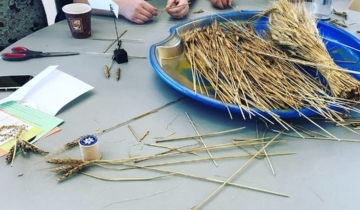 In this workshop, we will learn techniques for weaving with our local wheat. The Métis were known as the Flower Beadwork People. 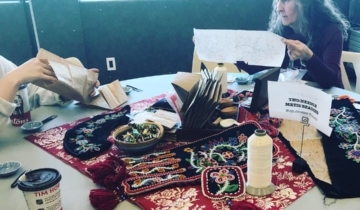 Learn about this Manitoba tradition and Métis beading techniques from master beader Jennine Krauchi, who will teach Métis-style two-needle beadwork. 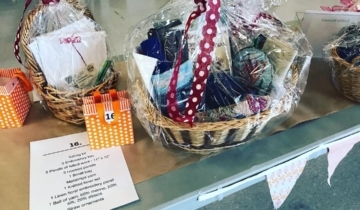 Each participant will work with a beautiful, original design by Krauchi, and take away a piece that can be made into a small finished project. Jennine Krauchi is a Métis beadwork artist and designer. 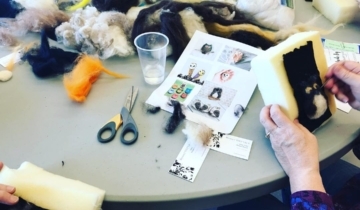 She creates clothing and does replica work for many organizations, including The Manitoba Museum, Parks Canada, The Canadian Museum of History, The Canadian Museum for Human Rights and other institutions in Scotland, France and the USA. She has also taught quillwork and moccasin/mukluk making in schools and at festivals in Canada and Europe. 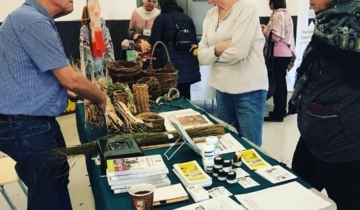 Making cordage out of readily obtained natural materials is an ancient skill that continues to have both practical and artistic applications today. Cordage (any manner of rope, string or thread) can be fashioned from the fibres of plants that grow right in our backyards. Learn how to recognize these plants and try your hand at this ancient skill as Laura Reeves guides you through this simple and engaging process. 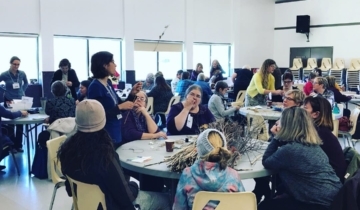 Laura Reeves, botanist and founder of Prairie Shore Botanicals, regularly shares her passion for wild edibles and wilderness skills through courses, workshop and guided plant walks. She is the author of “Laura Reeves’ Guide to Useful Plants — From Acorns to Zoom Sticks” which includes fun descriptions of her experiences with over 60 Manitoba plants and mushrooms. To learn more, visit www.psbotanicals.comand Prairie Shore Botanicals on Facebook. 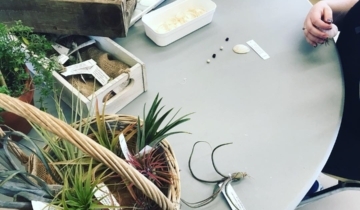 Workshop participants will learn about what an air plant is and how to look after it, and then make a ‘setting’ for the air plant using natural materials, such as shells. I have been spinning for more than 20 years and love to knit with the hand spun yarn that I make. I find it to be a very relaxing hobby and often take my spinning wheel with me to cottage country. Spindles as well as knitting are ALWAYS with me! 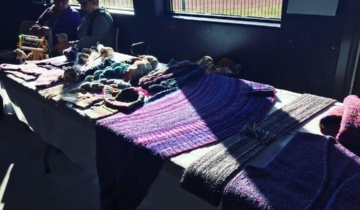 It is a lot of fun to travel around and look into fiber arts in other places! A year ago I went on a Celtic cruise with a good friend. 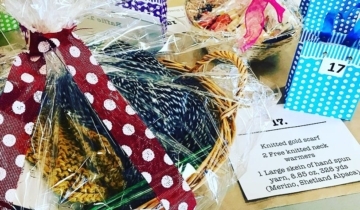 We were part of a “subgroup” of knitters … when at sea we could take classes from a well-known teacher and at many of the ports we could take excursions to knitting shops, fiber mills, sheep farms, etc. It was a dream trip for me and I will cherish the memories as well as the large stash of great stuff that I brought home with me! This past summer I went with 4 friends to the Black Sheep Gathering in Oregon. We traveled via Amtrak train and we all really enjoyed the trip. We took classes from outstanding instructors, visited with sheep and alpacas in the barn, and enjoyed wandering around (and shopping of course!) the many vendors at the marketplace. We met with some terrific people and also had time to explore the area. And we are all still friends! 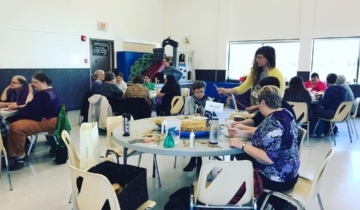 Hand spinning seems to be gaining popularity these days … I am a member of a couple of informal groups that are rapidly growing. I show at the Manitoba Fibre Festival (and other venues) under the name Tog & Thel. I specialize in natural dye, both immersion and fermentation, of Icelandic yarn plus silk and mohair. Other than indigo and woad, I try to use locally sourced material and avoid harsh or dangerous mordants. With just a simple wooden needle and strands of wool yarn, unravel some of the mystery behind this knotty 2,000-year-old fibre construction technique. Socks and accessories made on a vintage sock knitting machine. 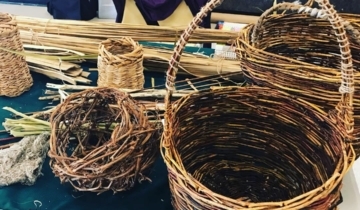 Willow Baskets made from locally harvested willow and Reed Baskets made from local cattails and bulrushes. 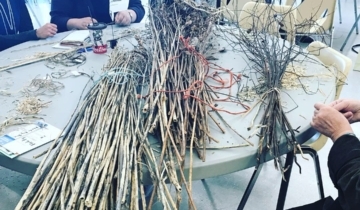 Laura Reeves, botanist and founder of Prairie Shore Botanicals, regularly shares her passion for wild edibles and wilderness skills through courses, workshop and guided plant walks. She is the author of “Laura Reeves’ Guide to Useful Plants — From Acorns to Zoom Sticks” which includes fun descriptions of her experiences with over 60 Manitoba plants and mushrooms. To learn more, visit www.psbotanicals.com and Prairie Shore Botanicals on Facebook. Weave strips of paper together to make a notebook cover and then bind the covers and some pages together to make a small notebook.